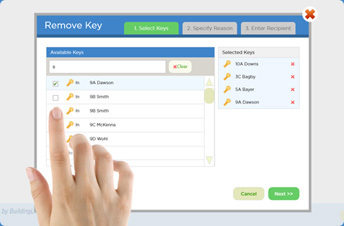 The KeyLink System is a complete electronic key security hardware/software solution that is designed to organize your sets of keys, prevent unauthorized access, and provide a fully-documented audit trail of all key activities. 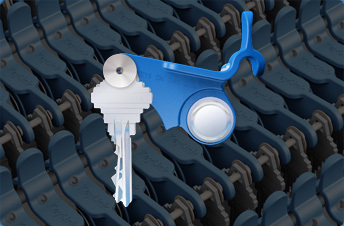 A KeyLink system consists of one or more locking drawers, sets of SmartTags, a standard PC, and an internet connection that connects to the KeyLink software. KeyLink software enables your building’s PC to unlock and relock the drawer when it receives a command from an authorized (and biometrically authenticated) user. Each drawer comes with a supply of ergonomic “SmartTags” (apartment keys attached to tags that each have a unique electronic identifier). SmartTags that are inserted, removed, or returned to the drawer are instantly detected and logged in the audit database. An email can be automatically sent to the resident each time their key is removed or returned, when the email notification feature is turned on. 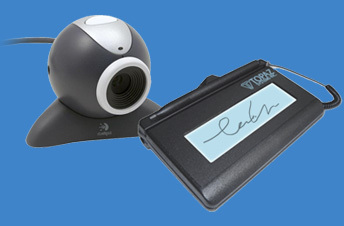 Other system peripherals can include colored SmartTags, SmartBoxes for temporary keys, signature capture pads, webcams, and remote keytag identifiers. 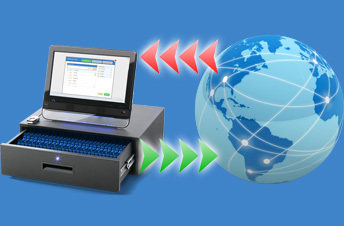 An Internet connection is required for setup, and is recommended for operations. Intuitive Touchscreen Interface enables direct interaction with our intuitive display screen allowing for uncomplicated employee training. KeyLink Operations allows you to remove and return, register or unregister keys, store temporary keys and keyboxes, track the return status of overdue keys and view or receive by email various alerts and reports. KeyLink Integration and WebAccess services allows you to update your lists of authorized employees, apartments and residents from any web browser, automatically preserve an emergency backup of all registered keys and their locations within each drawer, quickly re-install your software and system data in the event of a PC crash, and receive specific alerts and activity reports via email. Biometric Authentication provides secure access to your BuildingLink System. 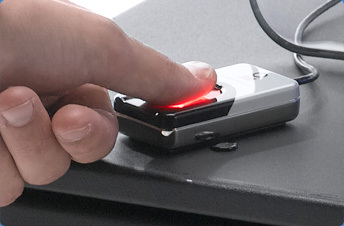 Our fingerprint pad facilitates the unique recognition of all registered users. 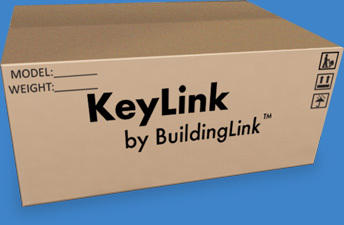 Easy Installation of KeyLink Drawers and software is fast and simple. It involves downloading the KeyLink software as well as your lists of employees, apartments and residents, registering your employees, attaching resident’s keys to SmartTags and inserting the SmartTags into drawers. 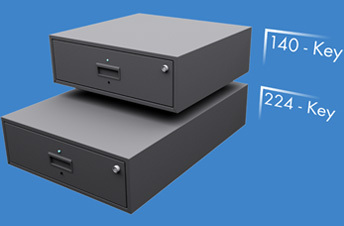 KeyLink Drawers can be ordered and installed in any combination of the 140-slot and 224-slot drawers. Signature and Photo Capture enhance the security in your building by documenting all visitors who are permitted access to your property.